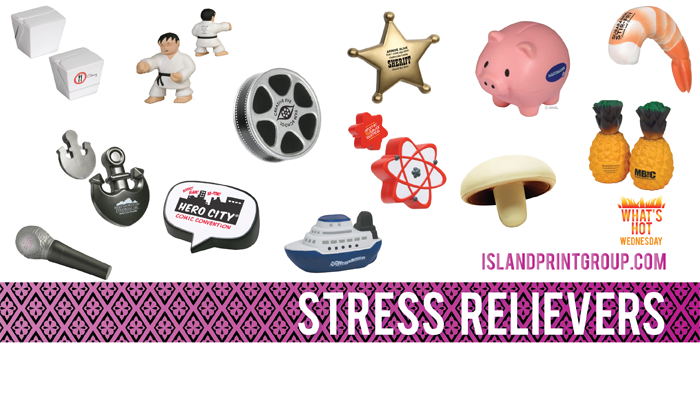 There are hundreds of different shapes of stress relievers to choose from! With Chinese takeout boxes, to almost any animal imaginable, vegetables, piggy banks, naval themed, science themed and many many MORE these can apply to any industry. Yeah, those don’t even scratch the surface of what is available! 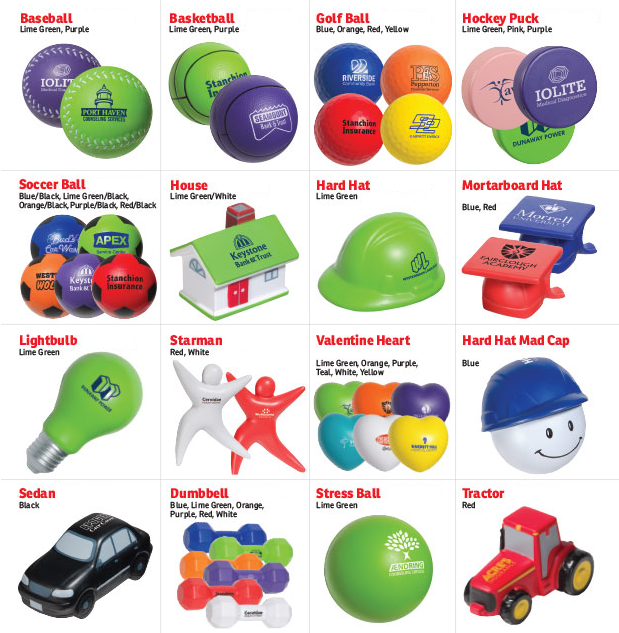 For example, for Bike To Work Week there are BICYCLE HELMET stress relievers! Oh! 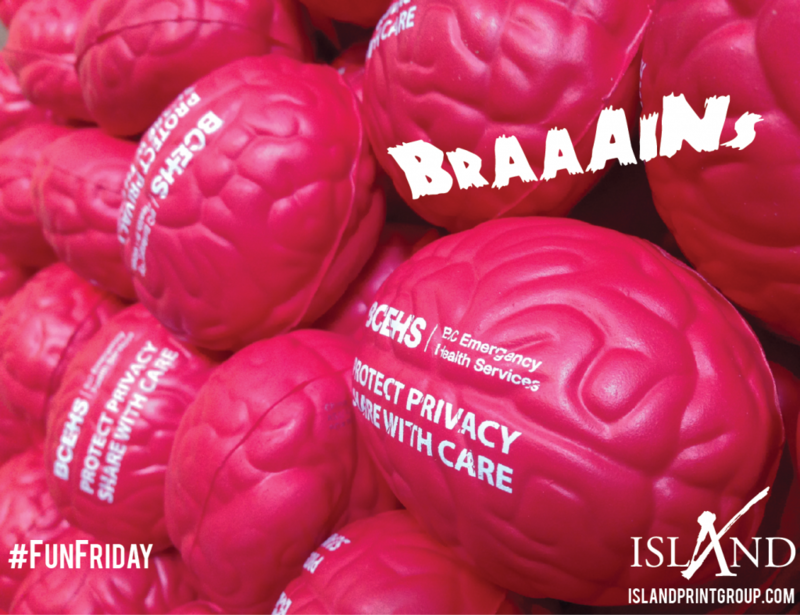 Here is another example of a stress reliever we’ve done! So whatever the industry, get on board and relieve some of your potential client’s stress! What a great way to start a business relationship! Accountant: “Let me take away the stress of doing your taxes” and you hand them a coin stress reliever. GENIUS! Realtor: “Let me take away the stress of finding your perfect home” and you hand them a key stress reliever. AMAZING! Nurse: “Let me take away the stress of getting your blood drawn” and you hand them a needle stress reliever. BEST! Ok, I’ll stop. You get the idea!